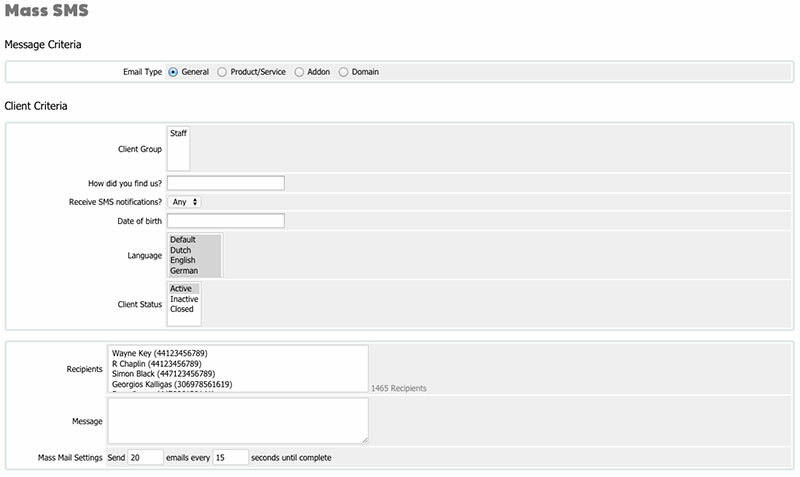 Such as when they register, place a new order, change their password, complete payment, etc..
You can even send the a custom define sms or mass sms messages in the addon control panel. 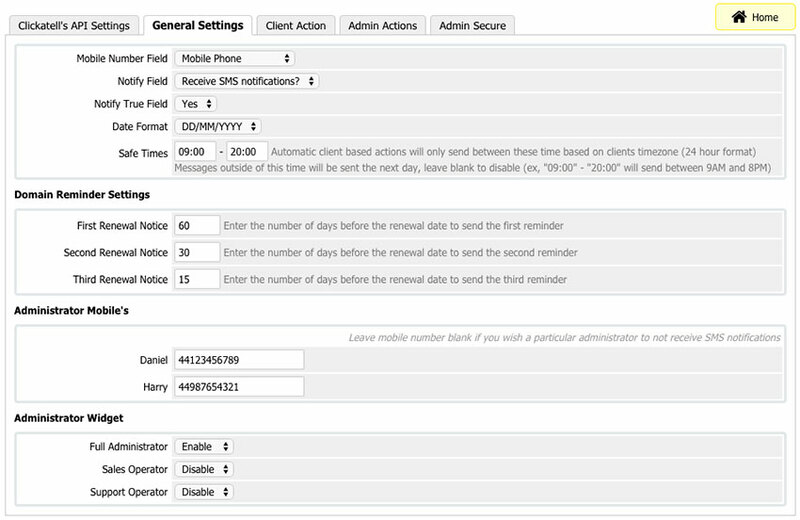 Safe Times: SMS scheduling, never wake a client up in the middle of the night! 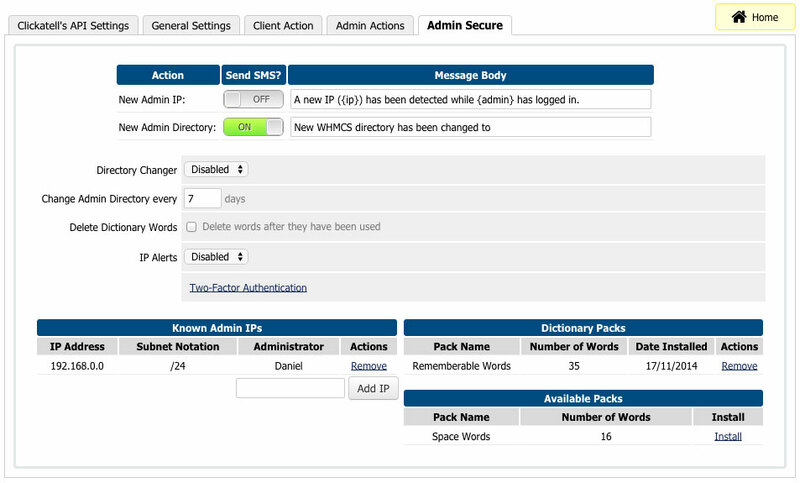 WHMCSnow's SMS Add-on has worked superbly with our WHMCS installation. 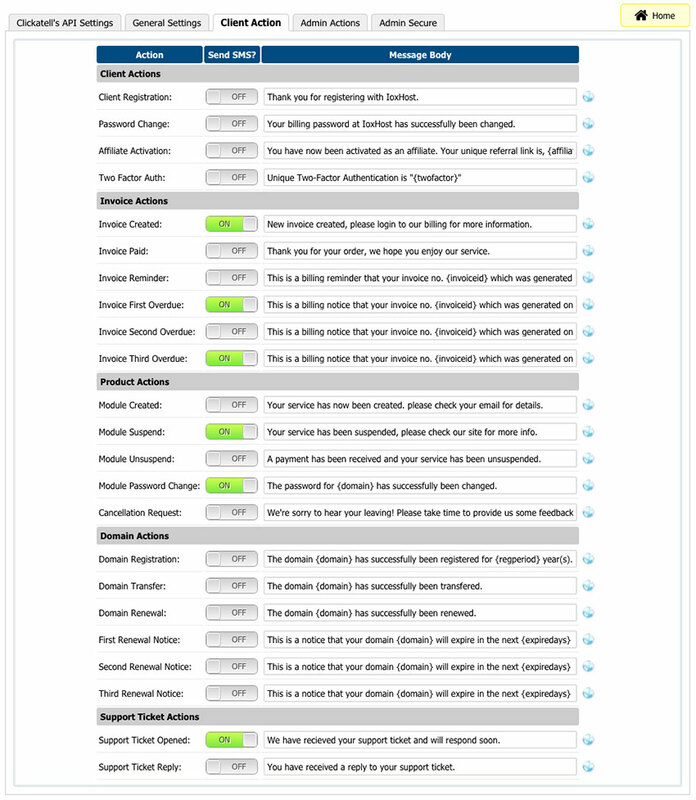 Our customers are amazed at the confirmation texts they get when they pay their bill or receive a support ticket reply. It really separates us from the other mom & pop hosting providers, SMS confirmations are something really only seen in bigger corporations. Coming from a background in celluar service customers EXPECT AND WANT SMS messages sent to their phone. 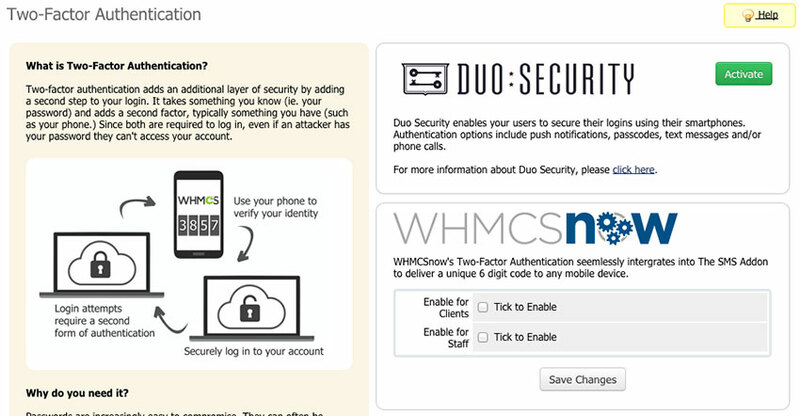 WHMCSnow has enabled us to provide this to our customers and we are excited at the ease of use of this add-on. 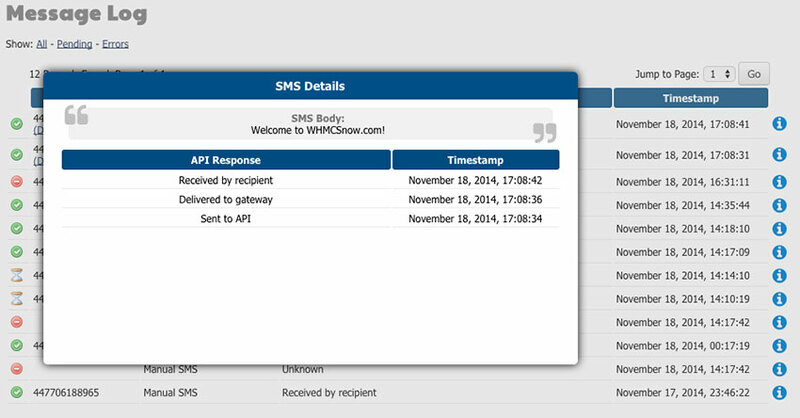 WHMCSnow's SMS Addon saved my business today. A SMS came to my phone alerting me to the fact an administrator had logged in from a non-whitelisted IP address. All Admins have whitelisted static IP's in my organisation. There was something amiss and we were onto the intruder ASAP. 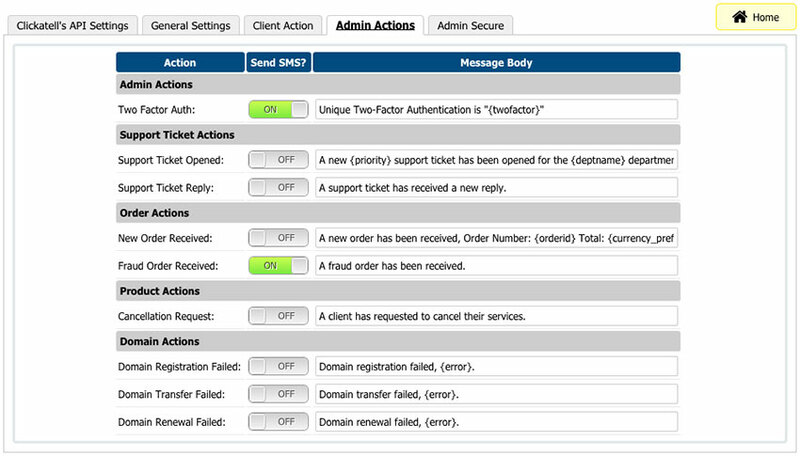 In addition to all updates and security patches the SMS addon is a valued addition to our WHMCS system in our company. Kind Regards Daniel, your program has helped us manage our business more securely. You guys are rock! 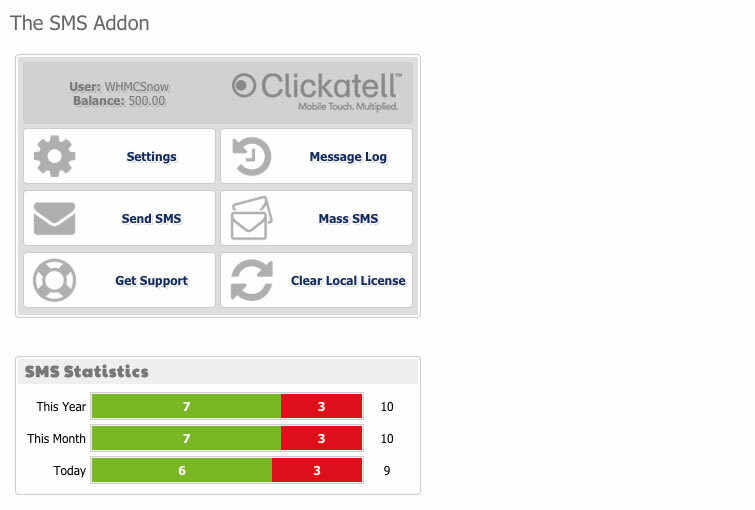 We have receive so much positive feedback since we use The SMS Addon. Expand our communication with clients. Are amazing to see the confirmation texts they get to their phone anytime anywhere. Really efficient. Good job Daniel!